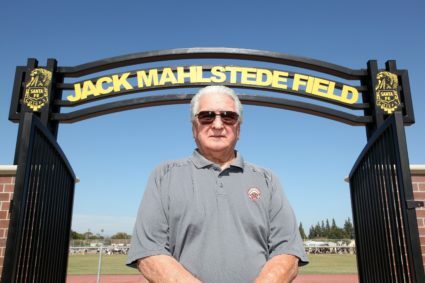 WHITTIER – The Whittier Union High School District community is remembering the life of inspirational educator, mentor and former Santa Fe High School athletic coach Jack Mahlstede, who died Thursday, Jan. 24 after losing a battle with pancreatic cancer. He was 80. Dedication of the Jack Mahlstede football field at Santa Fe High School in Santa Fe Springs, CA.